Home > TRAVEL > OKINAWA > OTHER > HOTEL > Time for Scuba Diving and Watching Mantas in Hoshinoya, Okinawa! Time for Scuba Diving and Watching Mantas in Hoshinoya, Okinawa! People have always been fascinated by manta rays. In Taketomi Island in Okinawa, if you stay in Hoshinoya Resort, you can see Mantas all year round since the climate there is semi-tropical and the waters are warm all year round. Divers go to this southernmost part of Japan to scuba dive with the mantas. 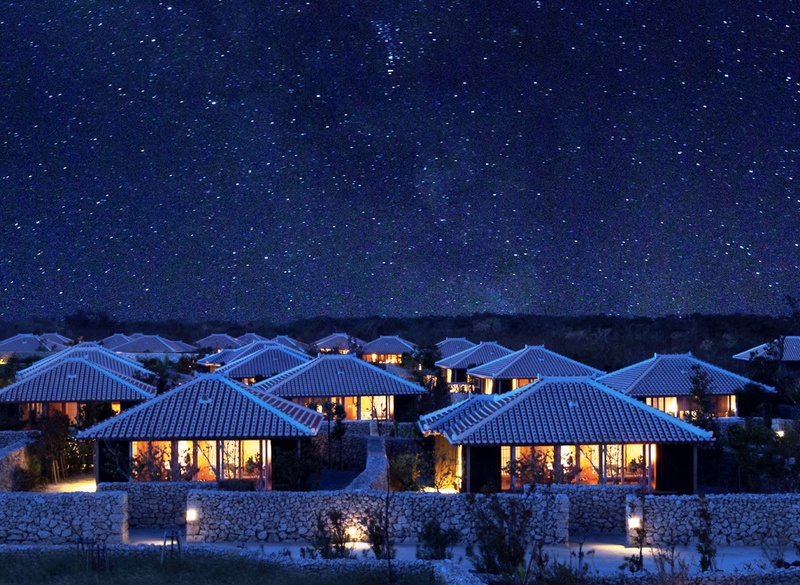 One of the best places to experience the mantas will be at Hoshinoya Okinawa. It is located on Taketomi Island that is ten minutes from the Ishigaki port by ferry. Once you get to the island you will be welcomed by the sun, the sea and the beach of this beautiful, pristine island paradise. There is a casual diving course for the guests. Beginners are welcome and will be given instructions for their dive. The water is exceptionally very clear and is perfect for spotting mantas and experiencing an underwater adventure. The chances of seeing the mantas and very high and you do not need to dive very deep spot them. That is why this is one of the top spots in the world for watching mantas. There are two schedules one in the morning from 9 am to 12 pm and one in the afternoon from 2 pm to 5 pm. You just need to be the dock 5 minutes before departure. The diving course will cost you 11,000 yen plus tax. Wear your swimsuits prior to departure and just bring a change of clothes, towel, sunscreen. There are a lot of things to do in the island aside from the diving. The resort offers a slow paced half-day tour of the island including a ride on a water buffalo driven cart. After a local tour of the island, you can go back to the resort to relax. There is a 24-hour swimming pool designed after the famous Taketomi Island wells that are very romantic when lit up at night. You can also relax and enjoy a soothing oil massage of your choice. The Spa attendants will recommend the treatment that your body needs depending on the condition of your body and skin. This is the best ending to a long day. They offer a special rate for guests who stay over 2 nights and the more nights you stay the bigger the discount. Make your reservation at least 90 days in advance and enjoy the hospitality of Hoshinoya Okinawa at a special rate. 3 Hotels in Okinawa Near the Beach! Cool Down this Summer at this Dazzling Hideaway in Okinawa! Explore and Experience the Beauty of Okinawa at the Sheraton Okinawa Sunmarina Resort! Have you ever seen those red flowers crowning the green grass?